We are a leading Manufacturer of wood stain dyes (for universal stains) from Mumbai, India. 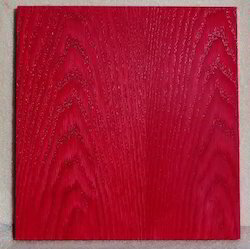 Oswacid Wood Stain dyes are water soluble dyes for universal wood stains. They are highly soluble in glycol ethers/solvents. They have high Lightfastness and good penetration in all kinds of wood. Available in full range of colours Yellow, Orange, Red, Bordeaux, Violet, Green, Blue, Brown and Black.